Source discrimination accuracy as a function of action and response type. Mean (SD) proportions of correct and incorrect source attributions are shown as functions of the total numbers of correct recognition of pairs of objects. Correct and incorrect indicate source attribution; R, remember responses; and K, know responses. Background Schizophrenia impairs episodic memory in its critical feature, autonoetic awareness, ie, the type of awareness that is characterized by mentally reliving events from one's personal past. It spares noetic awareness, another form of awareness based on feelings of familiarity. We investigated the hypothesis that the impairment of autonoetic awareness is related to defective information that binds together separate aspects of events. Methods An experiential approach to recognition memory was used. Twenty-five patients with schizophrenia and 25 normal subjects performed or watched actions consisting of pairing objects. Then, they had to recognize pairs of objects and who paired them (source recognition). Subjects were also asked to provide a "remember" (autonoetic awareness) or a "know" (noetic awareness) response according to their subjective state at the time they recognized each pair of objects and each source. Results Patients exhibited an impaired recognition memory. When actions were observed, recognition of pairs of objects, but not of source, was no better than chance. There was a reduction in frequency of autonoetic awareness, its consistency throughout recognition of objects and source, and its relationship to source discrimination accuracy. Recognition was based largely on noetic awareness. Conclusions Patients with schizophrenia are unable to link the separate aspects of events into a cohesive, memorable, and distinctive whole. The corollary of this defective relational binding is a quantitative and qualitative impairment of autonoetic awareness. EPISODIC MEMORY is a memory for personal events. Its main characteristic is its dependence on autonoetic awareness, ie, the kind of awareness that is known to normal subjects who consciously recollect these events by reliving them mentally.1,2 In contrast, noetic awareness corresponds to the knowledge that an event occurred but without any conscious recollection; it is based on feelings of familiarity. 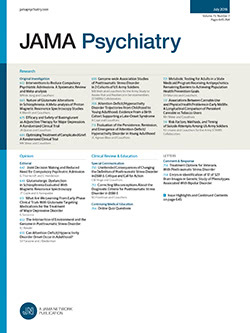 A recent investigation showed that schizophrenia impairs episodic memory in its critical feature, ie, autonoetic awareness.3 It used an experiential approach to recognition memory, in which autonoetic and noetic awareness were operationally defined in terms of the "remember-know" procedure.2,4 Subjects were asked to report their subjective state of awareness at the time they recognized each individual item. They were instructed to make a "remember" response if recognition was accompanied by conscious recollection (autonoetic awareness) or a "know" response if recognition was associated with feelings of familiarity (noetic awareness). Remember, but not know, responses were lower in patients with schizophrenia than in normal subjects. In normal subjects, a key determinant of autonoetic awareness is relational binding, ie, information that binds together separate aspects of an event, such as content (ie, what the event was) and source (ie, where, when, and how the event occurred).5-7 Relational binding determines the frequency of autonoetic awareness, its consistency throughout the different aspects of events, and its effectiveness with regard to source discrimination, ie, the ability to identify the source. When relational binding is poor, these features are reduced, and recognition proceeds largely on the basis of noetic awareness.6 In schizophrenia, a functional mechanism of the deficit of autonoetic awareness might be a defect of this relational binding. Two indirect lines of evidence support this hypothesis. First, patients with schizophrenia perform poorly in tasks involving source information.8-15 This deficit could be due not to a deficit of memory for source per se, but to defective links between content and source information.8 Second, at variance with the notion that recognition performance is relatively spared in schizophrenia compared with recall performance,16,17 it has been reported that patients with schizophrenia may suffer from recognition deficits.8,14,15 This discrepancy might be explained by the type of items that were used.18,19 Studies in which recognition was spared mainly used simple events that might have been recognized on the basis of nonrelational information. In contrast, studies that found recognition to be impaired used complex events consisting of several aspects that were temporally or spatially discontinuous. In this latter case, recognition is based mainly on relational information. Our study aimed at providing direct evidence that the impairment of autonoetic awareness associated with recognition memory in schizophrenia is related to a defective binding between separate aspects of events. An experiential approach was used in a memory task assessing content and source recognition. On the basis of previously discussed evidence obtained in normal subjects,6 we predicted that content and source recognition performance would be poorer in patients with schizophrenia than in control subjects. Furthermore, patients' autonoetic awareness would be less frequent, with recognition being based largely on noetic awareness. Finally, autonoetic awareness would be less effective with regard to source discrimination and less consistent throughout the different aspects of events. These deficits would be most obvious when relational binding was most defective. Twenty-five patients (17 men and 8 women) participated in the study (Table 1). They were recruited from the outpatient (n=23) and inpatient facilities (n=2) of the Psychiatry Department of the University Hospitals of Strasbourg, Strasbourg, France. They fulfilled DSM-III-R criteria22 for schizophrenia (paranoid [n=8], residual [n=4], disorganized [n=10], and undifferentiated [n=3]), as determined by consensus of the current treating psychiatrist and 2 senior psychiatrists belonging to the research team, and were clinically stabilized. Their mean duration of illness was 9.0 years (SD=4.4 years), and their mean total duration of hospitalization was 36.8 weeks (SD=67.7 weeks). Patients with histories of traumatic brain injury, epilepsy, alcohol or substance abuse, or other diagnosable neurologic conditions were excluded from the study. Patients treated with antidepressants, benzodiazepines, or lithium were also excluded. Twenty-three patients were receiving long-term neuroleptic treatment, administered in a standard dose (mean dose, 373±307 mg of chlorpromazine or equivalent). Thirteen were also receiving antiparkinsonian treatment (trihexyphenidyl hydrochloride [mean±SD dose, 6.7±3.7 mg] or tropatepine [mean±SD dose, 11.4±3.5 mg]). Two patients were not receiving any treatment. The comparison group consisted of 25 normal subjects (17 men and 8 women) recruited through local advertisements. The groups did not differ significantly in age or education (Table 1). The controls had no history of alcoholism or other drug abuse or neurologic or psychiatric illness and did not take any medication. All participants provided informed written consent. A short form of the Wechsler Adult Intelligence Scale–Revised (WAIS-R) was used to assess IQ.23 Recognition memory was measured using the following 3 standard recognition tasks: the figural memory task of the Wechsler Memory Scale–Revised,21 and the picture recognition and face recognition tasks of the Rivermead Behavioural Memory Test.20 Performance was relatively spared; only figural memory performance was significantly lower in patients than in controls, albeit remaining better than chance (Table 1). False recognition was extremely low in both groups. A modified version of the procedure developed by Cohen and Faulkner24 and Conway and Dewhurst6 was used. Subjects were shown an array of 72 common objects set out on a table (eg, a candle, a toothbrush, a camera, a handkerchief, a battery, a sheet of paper, a tire pump, and a coat hanger). They were seated in front of the objects, facing one of us (L.R.). They were given a set of index cards, each of which provided a specific instruction to make pairs of objects by positioning an object next to another (eg, the subject had to put the camera next to the tire pump, or the battery next to the handkerchief) or to watch the experimenter perform the action (eg, the experimenter put the toothbrush next to the sheet of paper). Ten seconds were allowed for each action. Objects that were moved were left in their new positions. Each object was involved in only 1 action. The 36 pairs of objects were divided into 2 sets of 18, each randomly allocated to the 2 types of action. The succession of performed and watched actions was randomized. Therefore, each event consisted of the following 3 separate aspects that had to be linked together to form a coherent memory representation: the 2 objects of the pair and who paired them (for instance, 1 subject formed an image of the battery wrapped in the handkerchief, or noticed that the experimenter's dress was green and that the sheet of paper and the toothbrush she moved were the same color; another subject remembered that he used his camera recently to take a picture of his son pumping up his bicycle tire or felt a pain in his back when he put the candle near the coat hanger). This phase lasted approximately 10 minutes, followed by a 45-minute interval during which subjects were engaged in unrelated tasks such as the WAIS-R, visual perception, and arithmetic tasks. In the recognition phase, subjects were presented with a typed list of 36 pairs of objects. Twenty-four of them consisted of pairs in their previous combination (old pairs). The remaining 12 were new pairings of old objects that were moved within the same action (6 "perform" and 6 "watch" actions); it was crucial, therefore, for the subjects to have formed distinctive features of pairs, ie, specific associations between objects, to make correct recognition. Old and new pairs were rotated among subjects and groups. Subjects were asked to identify the old combinations (recognition of pairs of objects) and to provide a remember-know response for the combination. They then had to recognize whether they had performed or watched the action (source recognition) and to provide a remember or know response for that action. Subjects were instructed to make a remember response if recognition was accompanied by conscious recollection, ie, if recognition brought back to mind something they experienced when objects were paired (eg, an image they formed, an association they thought of, or something of personal importance they were reminded of). Subjects were instructed to make a know response if recognition was accompanied by feelings of familiarity in the absence of any conscious recollection. To ensure that they were understood correctly, extensive instructions as to the use of the remember-know distinction were given to the participants in oral and typed forms. Furthermore, the recognition phase was preceded by a practice trial involving 12 objects not previously presented and 3 performed and 3 watched actions. Subjects were asked to explain their responses, which were excluded from data analyses. Recognition of pairs of objects was analyzed using a 2 (group)×2 (remember vs know responses)×2 (performed vs watched actions) repeated-measures analysis of variance (ANOVA) performed on the numbers of correct responses with group as a between-subject factor and response type and action as within-subject factors. Source recognition performance was analyzed using a 2 (group)×2 (response)×2 (action) ANOVA performed on source judgments. Source discrimination accuracy was assessed by comparing the proportion of the correctly recognized pairs of objects that were attributed to a correct or an incorrect source. According to Conway and Dewhurst,6 the relationships between states of awareness associated with correct recognition of pairs of objects and source discrimination accuracy were analyzed using planned comparisons, because the sum of the proportions of correct and incorrect source attributions is equal to 1.0 for each action condition in each group. Therefore, each response type (remember and know responses associated with correct recognition of pairs of objects) in each action condition (performed and watched) was analyzed separately using 2 (group)×2 (correct vs incorrect source attributions) ANOVAs, with source attributions as a within-subject factor. Each action condition was also analyzed separately using 2 (correct vs incorrect source attributions) ANOVAs, with source attributions as a within-subject factor. Finally, correct source attributions were subjected to an ANOVA with group and action condition as factors. Probabilities that a remember response associated with correct recognition of pairs of objects was followed by a remember or a know response in correct recognition of source were computed for each action6 and subjected to a 2 (action)×2 (response for action) ANOVA. Only 9 patients were included in this analysis, which required that subjects provided at least 1 correct remember response for pairs of objects in performed and watched actions. Whenever the result of an analysis was significant, 1-way ANOVAs and paired, 2-tailed t tests were performed to localize the differences. Alpha level was set at P<.05. The Pearson product-moment correlation coefficient between the proportions of remember and know responses on one hand and, on the other, scores on the Brief Psychiatric Rating Scale, Scale for the Assessment of Positive Symptoms, Scale for the Assessment of Negative Symptoms, Simpson-Angus Rating Scale, and Abnormal Involuntary Movement Scale, performance on the WAIS-R, and dose of neuroleptic and anticholinergic drugs were calculated in the schizophrenic group. A Bonferroni correction was applied to take account of the 8 correlations that were computed for each variable, and a significance level was set at P<.006. An initial analysis of recognition performance was made, irrespective of remember and know responses. Overall, recognition of old pairs of objects was lower when actions were watched than when they were performed (F1,48=30.01; P<.001) (Table 2). Patients recognized fewer old pairs of objects than did controls (F1,48=29.82; P<.001). They were more impaired in watched than in performed actions, compared with controls, as indicated by a significant interaction between group and action (F1,48=11.24; P<.005). False recognition of new pairs of objects was significantly higher in patients than in controls (F1,48=25.8; P<.001). When patients watched actions, their recognition was no better than chance, as indicated by the lack of any difference between the proportions of old pairs correctly recognized and new pairs falsely recognized (t=0.89; P=.38). Patients were less able to recognize the source than were controls (F1,48=11.32; P<.005) (Table 3). The proportion of pairs of objects correctly recognized and then correctly attributed to their source was lower in patients than in controls (F1,48=8.59; P<.01) (Figure 1). However, in both groups and under both conditions, the source was more often identified correctly than incorrectly (F's1,24>30.7; P's<.001), indicating that patients were still able to distinguish between sources despite the fact that they failed to recognize the pairs of objects. The proportion of responses were then subdivided into remember and know responses. When correctly recognizing pairs of objects, controls made more remember than know responses (F1,24=173.8; P<.001) (Table 2). Patients showed the opposite response pattern, as indicated by a significant interaction between response type and group (F1,24=129.9; P<.001). The proportion of correct remember responses associated with source recognition (Table 3) was significantly higher than that of correct know responses (F1,48=103.22; P<.001). The difference between remember and know responses was lower in patients than in controls (F1,48=26.31; P<.001), particularly in observed actions, as supported by a significant interaction among action, response type, and group (F1,48=4.46; P<.05). Source discrimination accuracy depended on the state of awareness associated with correct recognition of pairs of objects (F's1,24>98.5; P<.001) (Figure 1). In performed actions, controls identified the source better than by chance when recognition of pairs of objects was accompanied by remember (t24=11.40; P<.001), but not know responses (t24=1.71; P=.10). When observing actions, they identified the source better than by chance whatever the response type (t's24>4.48; P's<.001), but source discrimination accuracy remained higher when recognition of pairs of objects was associated with remember rather than with know responses. Thus, source discrimination was most accurate when recognition of pairs of objects was associated with autonoetic awareness. This was not the case in patients; their source discrimination accuracy was lower than that of controls when recognition of pairs of objects was associated with remember responses (F's1,48>42.8; P's<.001), and higher when it was associated with know responses (F's1,48>12.2; P's<.005). This disturbed pattern was particularly pronounced when actions were watched; patients correctly identified the source when recognition was accompanied by know responses (t24=8.62; P<.001), but performed no better than chance when recognition was accompanied by remember responses (t24=0.71; P=.48). Finally, when correct recognition of pairs of objects was associated with remember responses, correct recognition of source was more likely to be associated with remember than with know responses in controls (0.84 vs 0.06) and patients (0.60 vs. 0.12) (F1,32=206.40; P<.001). However, the likelihood of a remember response for pairs of objects and source was lower in patients than in controls, as indicated by a significant interaction between group and response type (F1,32=11.45; P<.005). There was no significant difference between performed and watched actions (F1,32=0.46; P=.50). Using a Bonferroni correction, there were no significant correlations among remember and know responses, clinical symptoms, WAIS-R performance, or drug dose in the schizophrenic group (r<0.52; P=.008). As predicted, patients with schizophrenia exhibited an impaired recognition of pairs of objects. This impairment was most pronounced when patients observed actions, in which case recognition performance was no better than chance. In contrast with this deficit, recognition memory measured by standard recognition tasks was relatively spared; only figural memory performance was significantly lower in patients than in controls, albeit still above chance. Therefore, the fact that patients performed no better than chance when they recognized pairs of objects cannot be accounted for by any global memory deficit. This finding is consistent with previous evidence suggesting that, in schizophrenia, recognition deficits depend on defective relational binding.8 Indeed, rather than pitting old items against new stimuli, as did standard recognition tasks, the task used in our study pitted old items against stimuli that were recombinations of old elements. This procedure made it crucial to form specific associations between objects to recognize old pairs correctly. In agreement with previous studies,8-15 patients also exhibited an impaired source recognition. However, they were still able to distinguish between sources even in watched actions, where they did not recognize the pairs of objects. This finding suggests that, although they were somewhat defective, links had been established between an object of the pair and the source, thus allowing significant, albeit lowered, source discrimination. Alternatively, this finding might be explained by a bias to experience information as coming from an external source. Such a bias has been described in patients with schizophrenia10,11 as well as in normal subjects when an item is familiar, but the memory representation does not include source information.5 Both interpretations postulate that patients with schizophrenia were not able to combine all aspects of events into a cohesive, memorable, and distinctive whole. As predicted, the pattern of remember and know responses provided by patients was quantitatively and qualitatively different from that observed in controls. The frequency of autonoetic awareness associated with recognition of pairs of objects was low, being partly compensated by an increase in the frequency of noetic awareness. This was also the case with source recognition, particularly in observed actions. Moreover, when recognition of pairs of objects was associated with autonoetic awareness, patients' source discrimination accuracy was lower than that of controls. The fact that it was no better than chance in observed actions is particularly striking in that it contrasts dramatically with the finding that, in the control group, source discrimination was most accurate when recognition of pairs of objects was based on autonoetic awareness. This suggests that when patients established links within events, these links were not strong enough to promote high levels of autonoetic awareness and accurate source discrimination. Finally, these links were not strong enough to promote consistent autonoetic awareness for pairs of objects and source. When recognition of pairs of objects was associated with remember responses, the likelihood that source recognition was also associated with remember responses was lower in patients. This impairment was observed in patients who provided a sufficient number of remember responses associated with correct recognition of pairs of objects, that is, the patients who were the least disturbed. Taken together, these results indicate that the states of awareness reported by patients were most impaired in observed actions, where relational binding was the most disrupted. These covariations provide direct evidence that the poor, ineffective, and inconsistent autonoetic awareness observed in patients with schizophrenia is the corollary, in terms of subjectively experienced awareness, of their impaired ability to bind the separate components of events into a coherent, relational memory representation. In normal subjects, autonoetic and noetic awareness involve different underlying processes at encoding, with autonoetic, but not noetic, awareness relying on elaborative processes.4 Moreover, because individuals are consciously aware only of those events whose representation is linked to the representation of the self as the agent or experiencer,25 performed actions promote autonoetic awareness by directly involving the self at encoding.6,26 We favor the view that patients' impaired relational binding and hence impaired conscious awareness is the result of deficient elaborative processes at encoding, a deficiency consistently reported in schizophrenia.27-29 However, an interpretation in terms of impaired retrieval processes is also plausible. The impairment of encoding and/or retrieval processes might be consecutive to a more general impairment of strategic processes involved in working memory.30 According to this view, the defect of these highest-level cognitive processes leads to an impairment of elementary operations involved in relational binding, which in turn disturbs the most integrated cognitive functioning, ie, autonoetic awareness. Our findings are likely to have clinical implications. They might explain many of the behavioral abnormalities associated with schizophrenia. Autonoetic awareness provides a basis for decisions and actions in various cognitive tasks and in everyday life and a foundation for social relationships. For instance, recognizing someone on the street may lead to different behavior, depending on whether recognition is accompanied by autonoetic or noetic awareness.4 Because recognition and conscious awareness might be severely disrupted in schizophrenia, a past event cannot be used with great flexibility for guiding and controlling behavior, affects, and beliefs, which in turn may be inappropriate inasmuch as they can be driven only by false memories and noetic awareness.32 This probably explains why memory impairments of patients with schizophrenia are so consistently related to inadequate functional outcomes in their daily lives.33 Moreover, the lack of consistency of autonoetic awareness might be related to the notion of fractionation of the psyche that Bleuler34 introduced to convey a splitting of mental faculties. Finally, our study is likely to have implications in terms of cognitive remediation. The demonstration that performed actions still promote patients' memory performance suggests that impaired memory can be remedied partly when patients are forced to involve the self at encoding, and that this intervention is effective as a means of enhancing conscious awareness. Our findings therefore support the proposal by Frith35 that schizophrenia is predominantly an abnormality of conscious awareness. Accepted for publication December 16, 1998. We thank Endel Tulving, Martin Conway, and Pierre Salamé for helpful comments on a previous draft of the manuscript. Reprints: Jean-Marie Danion, MD, INSERM Unité 405, Clinique Psychiatrique, Hôpitaux Universitaires de Strasbourg, 1 place de l'Hôpital, BP 426, 67091 Strasbourg Cedex, France (e-mail: danion@alsace.u-strasbg.fr).